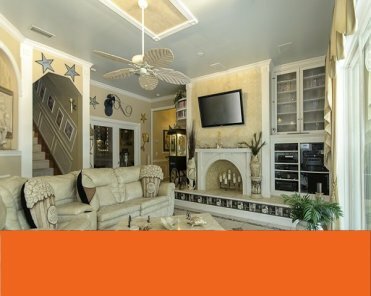 Featured on HGTV's "America's Most Outrageous Homes" and boasting a size larger than Disney's Magic Kingdom, The movie-themed Ever After Estate is a gated 62 acre "island" estate (easily accessible by car) available for couples, families, groups, weddings, & reunions sleeping anywhere from just 2 people...to as many as 40+! (while hosting hundreds of people for outdoor events!). 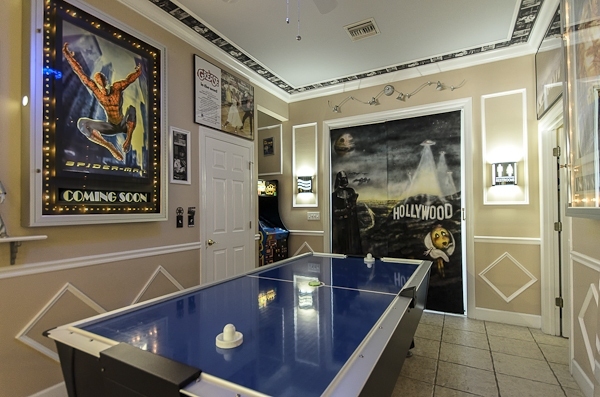 Enjoy total privacy while using our lagoon pool, water slide, video game arcades, movie theater, mini golf course, sports courts, & so much more! See The Ever After on HGTV here! Enjoy the best of both worlds. Nature meets whimsical luxury entertainment. You can meditate in marshlands and watch sand hill cranes while catching bass fish for hours at Ever After. Then, indoors, watch Hollywood hits in our high-tech cinema (or watch them outside in our poolside theater! 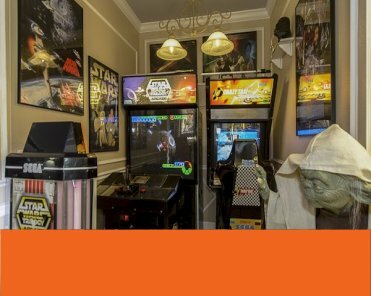 ), play dozens of video game & pinball machines, climb & write on chalkboard walls, bounce in balls, cook gourmet meals, & more! From the moment you contact us through your check-in and departure, you will be treated like royalty. 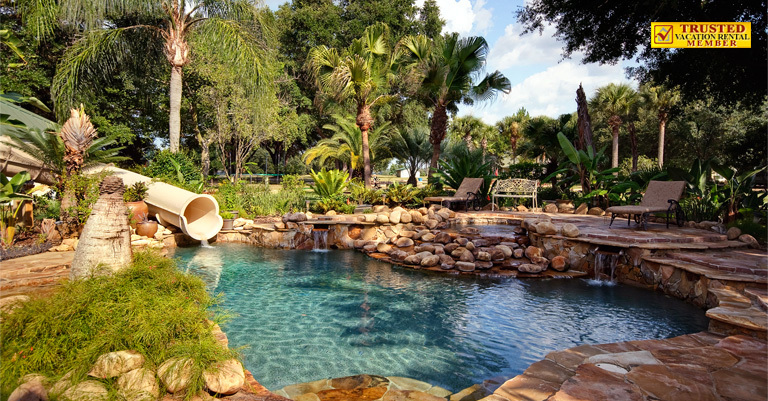 We will meet you upon your arrival and provide a full orientation of the property. If you need ANYTHING at all during your stay---at any time---we will exceed your expectations and provide it promptly. 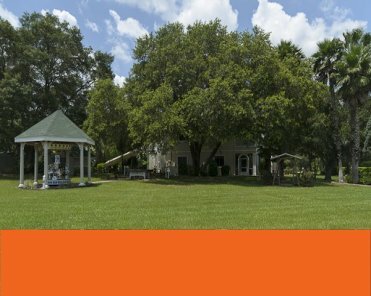 The Ever After Estate has an excellent reputation as Florida's most uniquely luxurious fun spot. Read about us on Homeaway/VRBO! 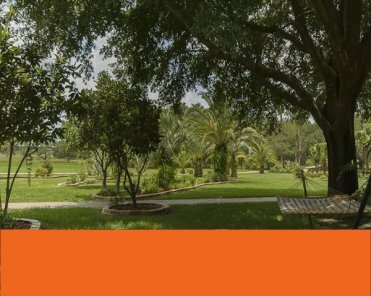 "This property is the most fantastic place for a large family or group to spend a holiday; The property was 100% as described, well maintained and very clean. There were also detailed explanations of how everything worked with someone always on the end of a phone to deal with any questions or problems. I would have no problems recommending this property to anyone--It's the ultimate in luxury homes. My family (has) many great memories of our stay and hopes to return many times in the future..."
"This is a place where I can come and truly be quiet, still, relaxed.. and have a good time! There is so much to do...One never really even has to leave the property!...!" 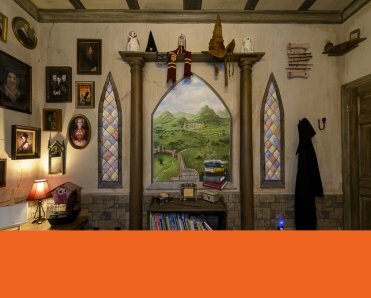 "The Ever After Estate is dope, awesome- We'll definitely be back..."
EVERY room, hallway, and corner of The Ever After Estate is elaborately detailed & movie-themed for the enjoyment of adults and children of all ages. There are 2 1/2 kitchens, 12 bedrooms and 10 bathrooms. 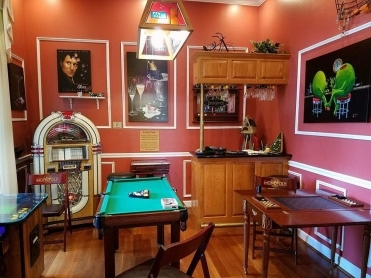 The property also includes an elaborate grilling area, picnic tables, free WiFi, gym, library, sports equipment, and more. 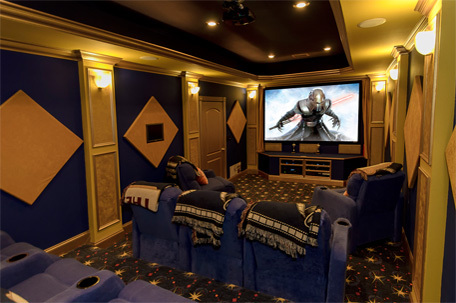 The World's Coolest Star Wars Room! 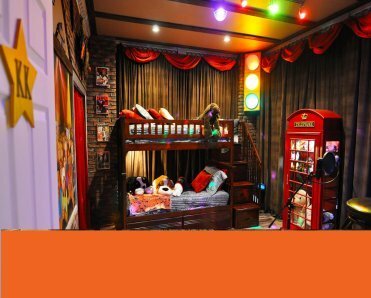 A Night Club & Sound Stage Bedroom! Family Game Night - Games Galore! 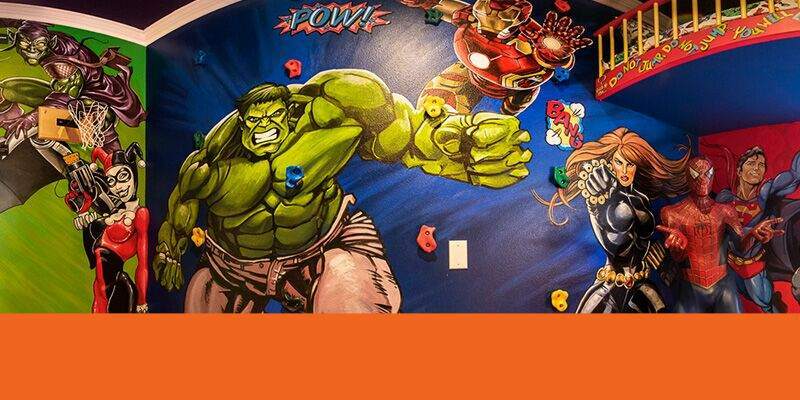 23,000 Balls, 2 Beds, Indoor Slide, Rock Climbing! 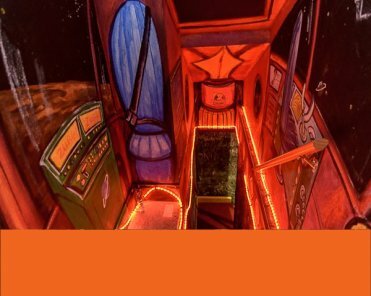 One of several game rooms, this themed space features a 360 scavenger hunt along with skeeball, darts, hoops, & entry to a 2 story indoor slide! 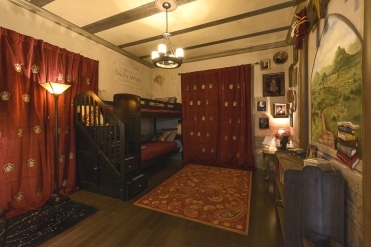 Sleep in Orlando's most outrageously themed, interactive bedroom. The broomstick flies. The walls are inscribed with stories. 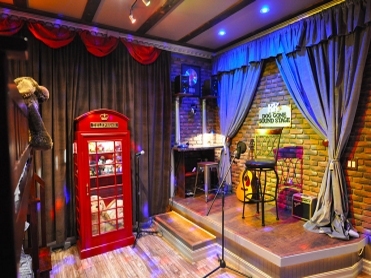 Complete with a stage, equipment, brick walls, and nightclub lighting! Kids, tweens, and teens all get to star in the show! Gorgeous fairy tale theming with even adults in mind. 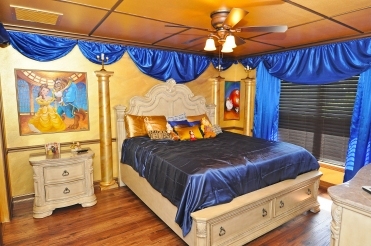 Rest in the luxury king-sized bed, enjoy the ambience, sleep deeply, or watch movies! 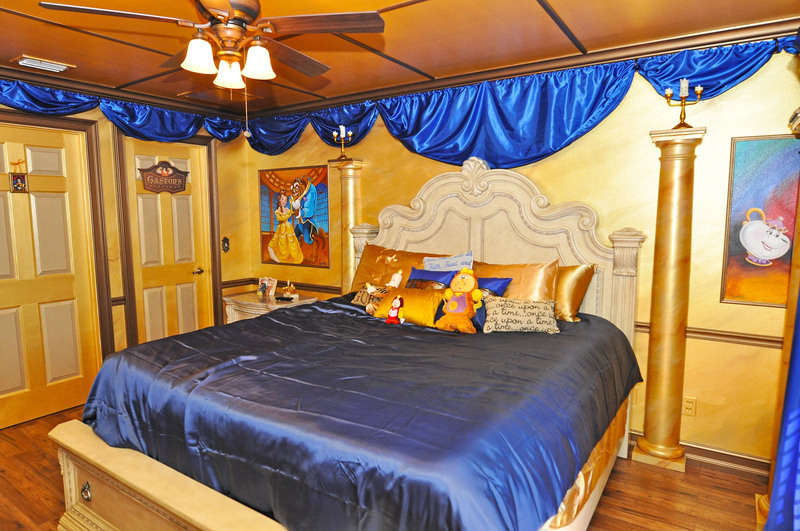 ...one of many elegant and spacious luxury bedrooms with high-end mattress, custom themeing, DVD, Wifi, & more. 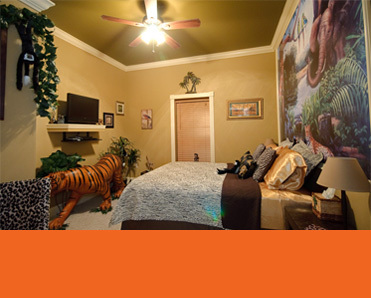 Tiger included. Tarzan & Jane optional. 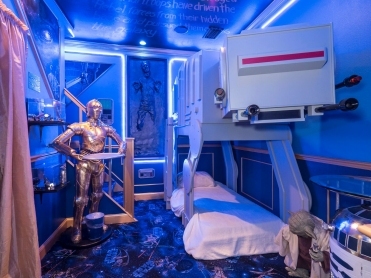 The ultimate Star Wars tribute bedroom for fans. 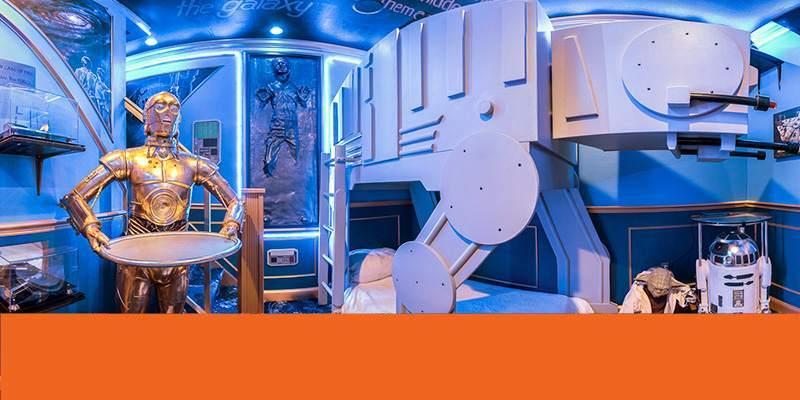 An AT-AT bunk bed, Star Wars pachinko, lightsabers on the ceiling, and more! 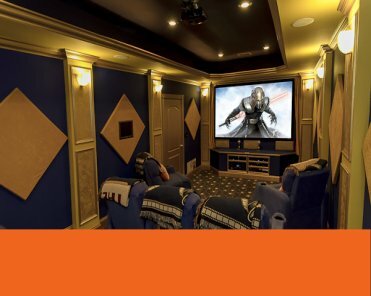 Choose from over 1,000 movie titles. Watch DirectTV. Go for high scores on PlayStations or Wii games. Sleep in the fully reclining chairs. 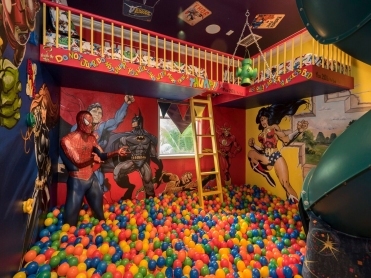 Kids AND adults will love "the ballpit!" 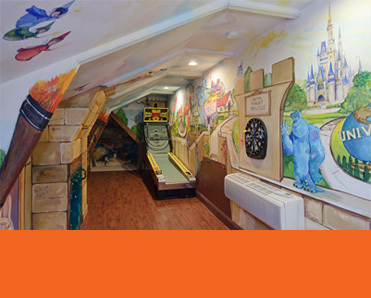 Here you can slide, jump, & even shoot hoops or CLIMB THE WALLS...There are bunk beds in here too! 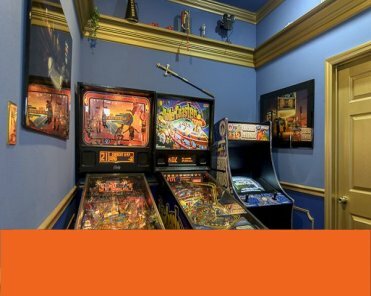 Enjoy unlimited free play of classic pinball machines, multi-cades featuring hit arcade games from the 80s & 90s. and so much more. You won't want to leave! 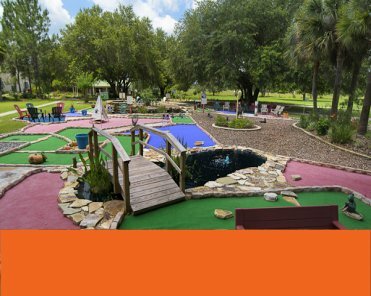 The Ever After Estate features 14 holes of challenging mini golf ("put put") following a fun, yet educational Native Indian theme. See if you can make par! 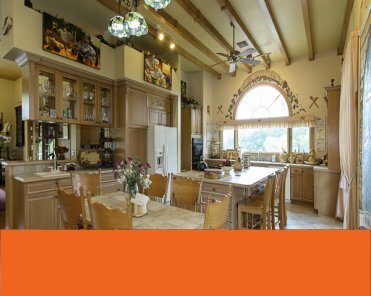 The Estate features 2.5 kitchens, extensive cooking facilities, cookware, utensils, service for dozens, and more. Intricate themeing adds to ambiance. Return to nature and experience true serenity. The Ever After Estate's 62 acres of planned landscape mixed with natural pasture are taken care of with great pride. Every room, hallway, & corner of the estate is intricately decorated and themed with a perfect blend of class and whimsical creativity. No two rooms are alike! In gaming areas, even staircases like this one hold special surprises the whole family/group is/are sure to love! Ages 2-102 ADORE The Ever After Estate!